1. The Next Great Oregon Quarterback. Who Will It Be? It’s evident that filling Mariota’s shoes is going to be a hard task, but it’s definitely possible. Some of the player’s Coach Mark Helfrich and his staff are going to evaluate are Ty Griffin, Taylor Alie, Morgan Mahalak and Jeff Lockie. All these candidates originate from within the program, while incoming freshman QB Travis Waller is coming in fresh off the California boat. As with most Duck fans, I’m very curious to see whom the program decides to hand the keys to. However, whoever it shall be, it’s important that all of us support him during his tenure with the Ducks. 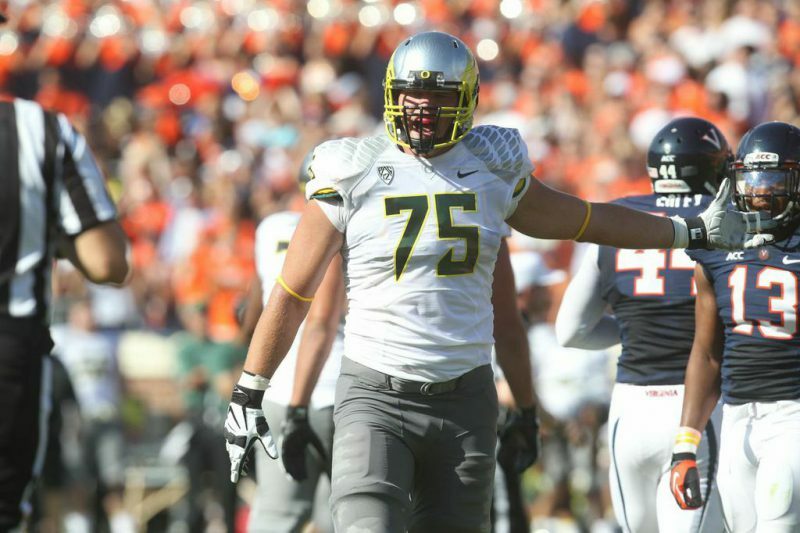 Veteran OT Jake Fisher has been a mentor to younger Ducks throughout his tenure at Oregon. 2. How will Oregon Construct a New and Improved Offensive Line? One of the main reasons that Oregon lost the National Championship was due to issues originating from both the O-line and D-line. What makes the Duck offense such a powerhouse in most of their games is the O-line winning the battle of the trenches. Recently, Oregon has been facing very physical defensive line teams such as Ohio State’s DL Michael Bennett. Next year, Oregon will need to fill in key positions in the O-line as players such as C Hroniss Grasu and OT Jake Fisher are heading to the NFL Draft. 3. 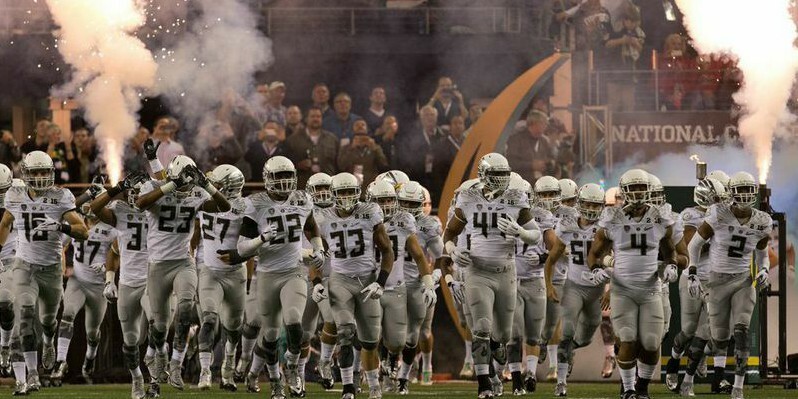 Will Oregon Carry This Season’s Momentum Into Next Season? There is no doubt that the success the Ducks had this season will always be remembered in the record books. However, what Oregon needs to focus on is how they are going to convert this disappointing end to a great ye into something even more stunning next season. When Oregon lost in the 2010 BCS Championship Game, many thought that the Ducks would never have such another amazing run such as they had with Darron Thomas. Contrary to this belief, Oregon got back on their webbed feet and had a historical season in 2011. All in all, the Ducks need to come back stronger than ever if they want to make a possible second appearance in the College Football Playoff.